Seven in the morning. An LED sunrise bathes the bedroom in blueish-yellow light, accompanied by gentle music. Wakeup programme: polar luminescence. Just in time for the first business meeting. Driving time 60 minutes. The roads are clear. The coffee machine is gurgling in the kitchen. The alarm of the future is linked: with the calendar, the household and the traffic information services. These are the linked comforts Kai von Luck works on. The computer scientist has furnished a smart laboratory flat at the Hamburg University of Applied Sciences. A 130 square metre loft – without walls, but with 150 hotspots and many metres of cable running underneath the floor. A couch table with touchscreen facilitates the use of Twitter whilst watching a thriller. A display mirror shows the weather forecast and news at the wave of a hand. As yet, a computer is connected to the prototype. "No technology is supposed to be visible in the linked home. Everything has to be wireless and seamless", says von Luck. His vision: sign in once and every new device will automatically integrate itself into this smart ecosystem. The whole thing is controlled by a smartphone app, perhaps per voice control. All still up in the air? "There are many services available for smart living. However, the linking of the individual functions still is too complicated", says Reiner Wichert from the Fraunhofer Alliance "Ambient Assisted Living". Nearly 500 home networking businesses are active in the German market. Industry turnover: 1.6 billion Euro per year and counting. But frequently the offers are very specific and the range is confusing. Another problem: the devices do not communicate with each other. The heating can be controlled via smartphone, just like the windows and lighting, but usually one needs three different apps. That is not yet smart enough. The fault lies also with the manufacturers. They follow different standards or try to establish their own. Seamless compatibility: no chance. "The refusal to adopt uniform standards does not make sense in the long run. Applications have to be linked", says Wichert. As a matter of fact, this is a necessity. Not for satisfying the needs of prestige-minded digital natives, but for the growing number of senior citizens. By 2050, the number of people aged 80 and older will increase to ten million in this country. However, modern senior citizens want to remain in their own homes for as long as possible. Their own four walls could help here. Experts call this Ambient Assisted Living. There are many ideas out there for technology assisted living. The networked wardrobe helps to choose the right outfit for the weather outside. Stove tops remind you to switch them off or switch off automatically. A spoken command lowers kitchen units to wheelchair height. The tablet can be used to call the care support service. There are few reservations against the technology. "Scepticism yields to the desire for autonomous living", says Serge Autexier from the German Research Centre for Artificial Intelligence. Safety in particular is an important argument for networking, not only for senior citizens. Here, the floor is a particularly important source of information. The intelligent floor sends an emergency signal, if the elderly inhabitant falls. Motion sensors illuminate the nightly visit to the toilet or alert parents should their offspring go for a night-time walk. Even electricity consumption could be lowered. The light switches off automatically when one leaves a room. A small saving. Energy efficiency is a big issue. Intelligent electric meters, so-called smart meters, are intended to control energy consumption. The washing machine and dishwasher will be switched on only when the wind blows and the sun shines, that is, when electricity is cheap. The promised saving is up to 15 per cent. Positive side effect: demand peaks would not have to be balanced with coal and also the stopping of wind turbines would become unnecessary. But these smart meters are not yet fit for everyday use. 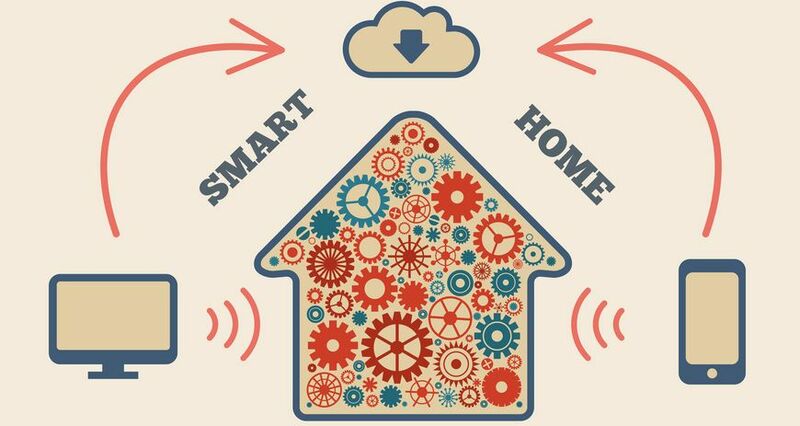 The obstacles are always the same: one not only needs smart meters, but also smart washing machines with internet connectivity. This is why telecommunication and the power grid are to merge. Yet that is exactly what troubles data protection groups. Both motion detection and electricity consumption carry confidential information. "The manufacturers have to guarantee data protection", says Autexier. 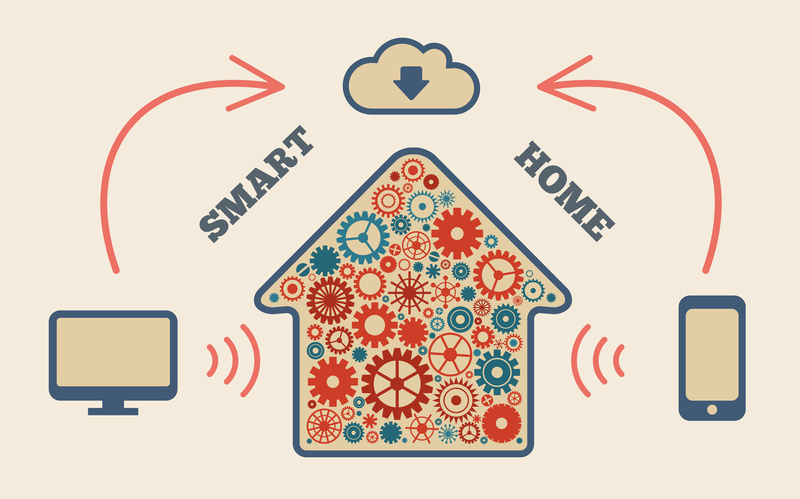 At the same time, everybody should make their own choice how much data they disclose and how much technology they need in their home. So this is not about installing as much technology as possible, but only as much as is necessary. Sometimes simple applications are sufficient. An example: some alpine farmers want to remain in their idyllic mountains also into old age. This is why researchers from Salzburg have equipped their houses with light curtains on the stairs. These register whether the farmer gets up in the morning and goes downstairs to the kitchen. If nobody comes down the stairs by noon, the system raises the alarm. Cost: less than 100 Euro, technology from the hardware store.